The Commonwealth of Pennsylvania awards grants to state residents pursuing postsecondary degrees, including associate degrees. To be eligible for a PHEAA grant, you must complete the FAFSA by May 1 of each year. PHEAA will contact you via mail or email requesting additional information to determine eligibility. Your grant award will be re-evaluated each year on the basis of continued need, your academic progress and to ensure you are taking at least six credits per semester. Credits in remedial courses may be eligible depending on how many regular credits you are also taking. They usually will require additional information to determine eligibility. 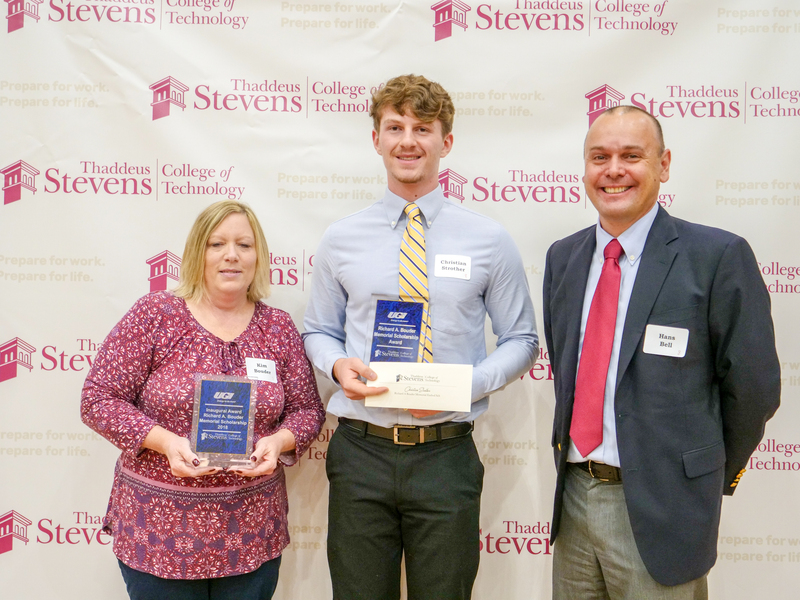 Federal Pell Grants are determined by the Department of Education based upon demonstrated financial need and full or part-time enrollment at Thaddeus Stevens College. To apply for a Federal Pell Grant, students must complete the FAFSA. Our priority deadline is March 1 of each year. Once the College receives your FAFSA and you have received an offer of admission, we will begin to process your application to ensure everything was completed accurately. Funds are disbursed via EFT to students accounts each semester. Federal grant funds awarded to our neediest students who complete the FAFSA application early. To be considered students must meet the following criteria. Federal Pell grant eligibility based on FAFSA. Awarded to students who complete the FAFSA in October of the previous year. Awards are generally $3,000 for the year, until funds are exhausted. For more than 100 years, the Stevens Grant and its predecessors have enabled thousands of students to realize the American Dream. The Stevens Grant assists those students that are financially disadvantaged. FAFSA processed by May 1st . Late applicants may receive reduced award. In some cases, students that are taking less than 12 credits but are taking a full load of their program courses according to the model schedule and have full filled all general education requirements may be eligible on a prorated basis. Remaining costs after Pell, PHEAA, outside scholarships, VA benefits and EFC are taken into consideration. If the EFC is greater than zero student are expected to take out a loan to cover the amount of their EFC. All books must be returned at the end of each semester. If a student withdraws or is dismissed prior to graduation they must return their tools or be charged a replacement fee. If a student withdraws or is dismissed during the refund period, their Stevens Grant will be prorated based upon the business office’s refund policy. 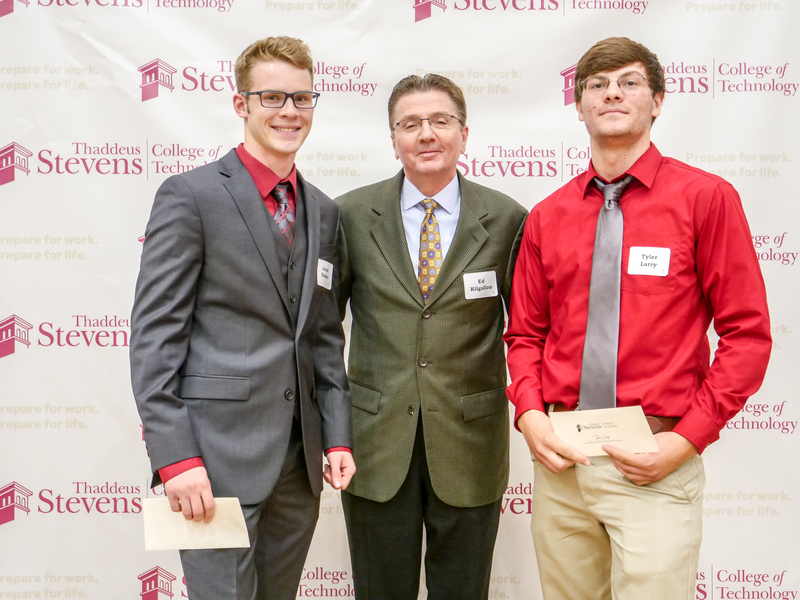 The Thaddeus Stevens Foundation awards more than 50 scholarships annually. You may complete a scholarship application to apply for all of the available scholarships for which you may meet the criteria. Amount of scholarship is determined by the Thaddeus Stevens Foundation. Students may submit an online scholarship application (below) to apply for all of the available scholarships in which they meet the criteria. The reference form may be downloaded below and we recommend providing two reference forms. The application must be submitted prior to May 31, 2019. Decisions and notifications of scholarships will be made by the end of July. You are encouraged to apply for scholarships from outside sources. However, the Financial Aid Office is not responsible for these scholarships, so you should confirm with the sponsor any rules or requirements that may apply. Please notify the Financial Aid Office of any other scholarships, as they may change your award/amounts that you are federally eligible for. We will complete any paperwork required to assist in the follow-up process. You can use one of the many free scholarship searches online. It is not recommended to ever pay any amount or fee to apply for an outside scholarship. The following scholarships are currently available to students based on the criteria listed for each scholarship. Please note that scholarship payout amounts might vary from what is stated and will also be determined by the Thaddeus Stevens Foundation on an annual basis and based upon current investment return rates. 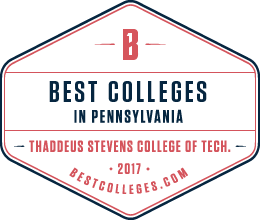 All applicants must first qualify by passing the entrance exam conducted and administered by Thaddeus Stevens College of Technology. Each recipient of a scholarship must meet the academic standards of a 2.0 GPA or above. Student with financial need is given first preference. Financial need can only be determined by completing the FAFSA. We encourage all applicants to also complete the FAFSA. Consideration for those with academic achievement will be given second preference. None of the following forms of discrimination will be used in selecting a qualifying student. Neither race, creed, color, age nor gender shall be used as a determining factor in awarding the scholarship. Scholarship applicants shall be residents of the Commonwealth of Pennsylvania. Established in 2017 by Air Products and Chemicals, Inc. This scholarships should be awarded to students in the Welding program at TSCT. Annual scholarship established in June 2015 by the Chesapeake Chapter of the American Foundry Society. The scholarship will provide a minimum of $1,000 to a student in the Foundry/Metal Casting Program. Established in November 2001 by the John E. Barley Family. The scholarship gives preference to students residing in the school districts of Penn Manor, Solanco, Lampeter-Strasburg and Pequea Valley. 3. The scholarship will be given in two increments: one in the beginning of the fall semester and the other in the beginning of the spring semester. Each year the scholarship will be awarded to a new incoming freshman student. No scholarship will continue through sophomore year. Established in 2015 by Ann Barshinger (coordinated by Fulton Bank Trust Office). The scholarship will be given to a student residing in Lancaster or York Counties. This scholarship was established in 2018 by the family and friends of Larry E. Peifer, who was a carpenter and encouraged others to work in the building trades. First preference for the award will be for residents of Manheim Central or Hempfield school districts. If no one qualifies, then the scholarship shall be awarded to a resident of Lancaster County. The recipient shall be enrolled in an associate degree program in one of the building construction trades. Each year, a qualified incoming freshman will have first preference for this one-year award. The Bartone family has established a local foundation in the Downingtown area in memory of Michael. Priority will be given to a student applicant from the Downingtown School District. If none is eligible, then Coatesville or West Chester areas. The scholarship will provide a minimum $500 annual scholarship. Priority is given to a student applicant that is a graduate of Harrisburg High School. If none is available then a graduate of the Dauphin County Technical School will be considered. The applicant must complete an essay on “becoming the sum of one” and submit it to the Foundation office by August 1st of each year. Established in 2017 by UGI Utilities, Inc. in memory of their employee, Richard A. Bouder, who died in the performance of his duties. The minimum scholarship awarded annual to a student is $1,000. Graduates of McCaskey High School in the Lancaster School District will be given first preference; otherwise a resident of Lancaster County. The student recipient(s) is to be enrolled in the welding, plumbing, or electrical programs. The minimum scholarship awarded annually to a student is $1,000. The purpose of the scholarship is to aid students with academic ability and financial need to continue their studies. Established in 2000 with a $5,000 gift from Alfredo R. Bustaque, a trustee at Thaddeus Stevens College of Technology, in memory of his son. This scholarship shall be awarded annually prior to the beginning of the fall semester to a second year student. Criteria for receipt of this scholarship award shall be, in order of preference, (1) Latino student with sound academic standing and financial need; (2) other minority candidate with sound academic standing and financial need; or (3) any other student with sound academic standing and financial need. The scholarship is recommended by the Offices of Financial Aid and Student Counseling to the Cascio family for approval and designated for a student who is in recovery. The Scholarship Award is $5,000. Endowed scholarship established in November 2009 by Thomas J. Cence ‘35. The number and amount of the scholarship will depend on the number of qualified applicants and the annual earnings of the fund. The minimum scholarship awarded annually to a student is $1,000. Must be a resident of Central or South Central PA.
Must be enrolled in one of the following technical programs: Business Administration; Computer & Network Systems Administration; Computer Software Engineering; Electrical Technology; Heating, Ventilation, Air Conditioning/Refrigeration (HVAC/R); and Metals Fabrication and Welding. Two to four scholarships will be available annually. Established in August 2017 by Exelon Generation of Kennett Square. The scholarship is to provide tuition support to two female students in Electrical Technology, Electro-Mechanical Technology, Electronic Engineering Technology, or Machine Tool Manufacturing Technology. Annual scholarship established in January 2012 by Mr. & Mrs. Terry K. Frantz in memory of their son, Bryan K. Frantz ‘82 Architectural Technology. The scholarship is to provide tuition assistance for a student or students in the Architectural drafting or C.A.D. programs. Annual funding in the total amount of $2,000 may be awarded to one or two students. Funding may continue for a student into their second year at Stevens, if eligible. Established in 2017 by the Gene Haas Foundation. The scholarship criteria will be determined based on GPA with input from Machine Tool & Computer Aided Manufacturing instructors. Established in 1996 by a bequest from Earl W. Hagy. This scholarship will be awarded to a student residing in the Ephrata School District. The applicant’s major must be Automotive Technology, Cabinetmaking or Carpentry. The monies awarded will be given out of the earned interest from a $50,000.00 restricted gift. Established in March 2014 by the Hall Foundation. This scholarship will be awarded to one female and one male student, divided into 2 semesters. The scholarship shall be awarded first to students from Dauphin/Cumberland Counties (Harrisburg) region, then to Lancaster, York or Lebanon. An endowed scholarship established in December 2014 by Dale and Sadie High. 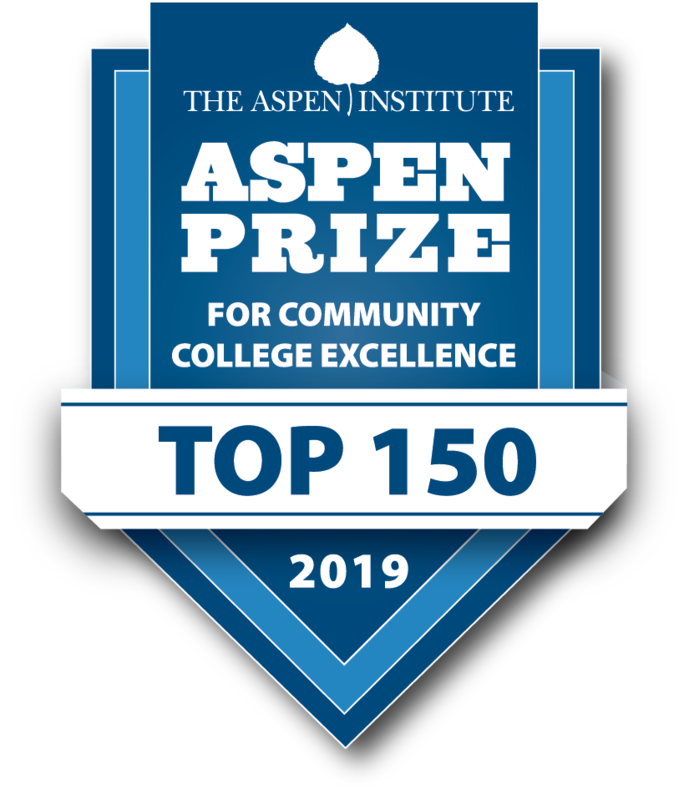 This scholarship will be awarded to students of families who have financial needs that may otherwise prevent them from attending college and pursuing a life-changing career. Recipients also may be the first in their families to enroll in college or continue their education. Recipients must possess traits likely to lead to a successful completion and career. Demonstration of academic achievement and/or community service, while in secondary school, will be an additional weighted factor for award. Recipient must be pursuing a career in one of the construction trades or construction design technologies. Recipient must live in a county that has the presence of a High-affiliated company. These counties currently include: Berks, Chester, Cumberland, Dauphin, Lancaster, Lebanon, Lycoming, Luzerne, Montgomery and York. Established in March 2007 by the executors of the estate of Gregg T. Kissinger, a skilled German-trained finish carpenter who had a business in Lancaster County. This scholarship is for males only who reside in the Commonwealth of Pennsylvania. Two awards will be awarded to incoming freshman each fall. Established in November 2008 by the executors of E. Ann Klein, a successful businesswoman and former owner of Klein Kars, Lancaster. This scholarship is to be awarded to a student pursuing a major in Automotive Technology or Collision Repair. The candidate selection process will involve the Thaddeus Stevens College of Technology Financial Aid Department and representative faculty from the Automotive Technology or Collision Repair Technology Departments. Established in 2011 by the ICC Professional Chapter to support student education of building codes in the construction trades. 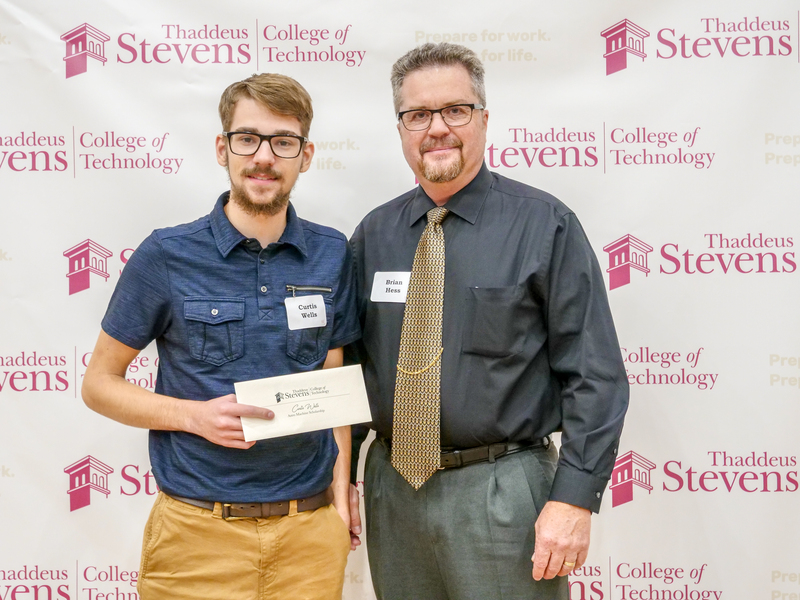 This scholarship is to be awarded to a student enrolled in one of the following programs: Architecture, Carpentry, HVAC, Electric, Plumbing or Masonry. 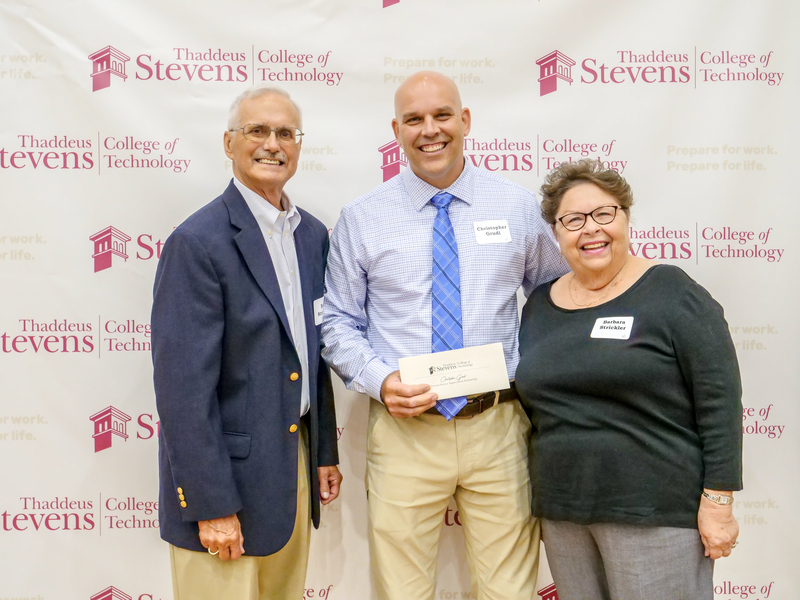 Established in March 2015 by Rebecca Lattanzio in memory of her husband Vincent Lattanzio ‘78 (Cabinetry),former board member of the Thaddeus Stevens Foundation and Alumni Association. Scholarship recipients are chosen by the TSCT Financial Aid Office. There are no specific designations as to program, geographic location or class year. Established in November 2001 in memory of Walter H. Lorenz by his family. Scholarship applicants shall be students pursuing technical majors in electronics technology or electrical technology. Each year the scholarship will be awarded to a new incoming freshman student. No scholarship will continue through the sophomore year. Established in 2014 by Caroline Mazza and the Mutual Fire Foundation in memory of John P. Mazza. This scholarship is to a student in Electrical Technology. Established in 2017 by Alexander Molinari in memory of his brother, Daniel Robinson Molinari, who was not a graduate of Stevens, but was an established and skilled tradesman. Daniel passed away suddenly while working in Lancaster, and his brother wished to honor his memory with this scholarship. This scholarship is undesignated and may be used where the student need is best served in any technical program. Established in 2017 by Patricia Mortenson to help people of economic misfortune meet the cost and special needs of attending college. The minimum annual scholarship to a student is $1,000. Established in 2018 by the National Novelty Brush Co. (NNB). 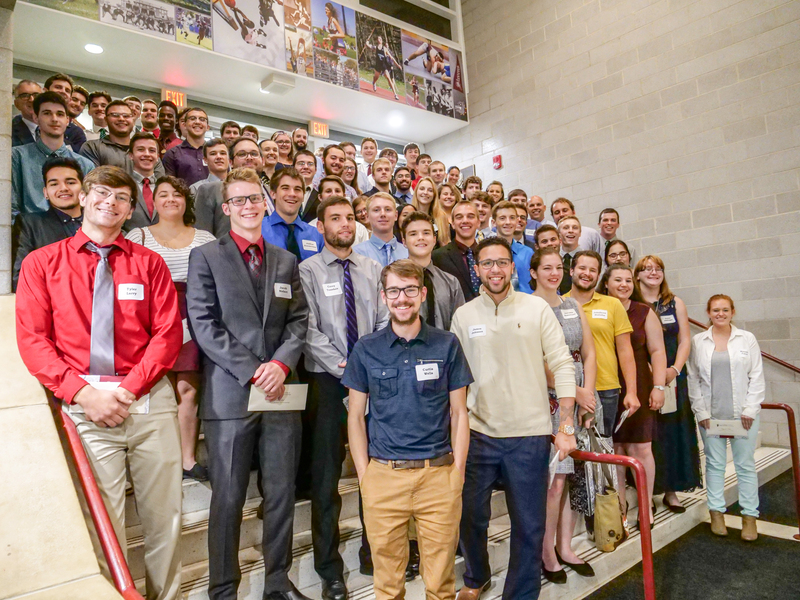 The scholarship shall be awarded to a student in the Machine Tool and Computer Aided Manufacturing Technology program or the Electro-Mechanical Technology program. Established in August 2006 by the trustees of the Pryor E. Neuber estate. Each year the scholarship will be awarded to a new incoming freshman student. No scholarship will continue through the sophomore year. The scholarship shall be awarded to 2 students, one of whom should be a second-year student. The eligible programs are Automotive Technology and Collision Repair Technology. Students must have permanent residency in Central PA and have financial need. Established in May 2007 by the family of Kelly Rebman in his memory. This scholarship is to be awarded to a student in the Automotive Technology program. will continue through the sophomore year. Established in December 2016 by the Ressler Mill Foundation. Scholarship recipients shall be residents of Lancaster County, Pennsylvania. Established in September 2016 by Rettew employees and friends in honor of George “Hank” Rettew upon his retirement. This scholarship is to provide assistance to a deserving, financially disadvantaged student to attend TSCT. This scholarship is to be awarded to a student in either Water & Environmental Technology or CAD. The student must be under 30 years old. Established in 2019 by Reyna Information Technology Services, LLC, to support and advance the technology field. The recipient will be enrolled in the Computer Software Engineering or Computer Network Systems Administration program. First preference is given to a female student. If no female is qualified, then a male student may receive the scholarship. The recipient will be from the Central Pennsylvania region, defined as the Lancaster, York, Harrisburg areas and including Lebanon, Berks and Chester counties. Established in 2017 by the Rice Family Foundation. The student must be from a Hanover area school district. Established in March 2013 by the Electrical Technology Class of 1985 Reunion Members. Financial need is not to be considered. Established in September 2001 by Willis Shenk, who was Chairman of Lancaster Newspapers, Inc.
student who is majoring in Graphic Arts Communications & Printing Technology. the scholarship committee may select a candidate pursuing a major in another technical major. Established in May 2016 by Josephine Spade in memory of her husband, Maynard, Class of 1963, Carpentry. This scholarship is to be awarded to a student in the Carpentry Technology program. Scholarship amount is to be $1,250 annually. administered by the Susquehanna Litho Foundation. Awarded to 2 students who are pursuing a printing or graphics communication major. Each will be awarded a check for $500 (fall-sophomore/spring- freshman). The scholarship monies will be provided by the Susquehanna Litho Foundation on an annual renewable agreement. Established in November 2015 by the Turkey Hill Dairy. Two annual scholarships of $1,250 for qualified students entering the Mechanical Engineering or Electro-Mechanical technology, one of which is specifically for a female student. Additionally, funding is available up to $500 to support tools needed for the program in which they enter. 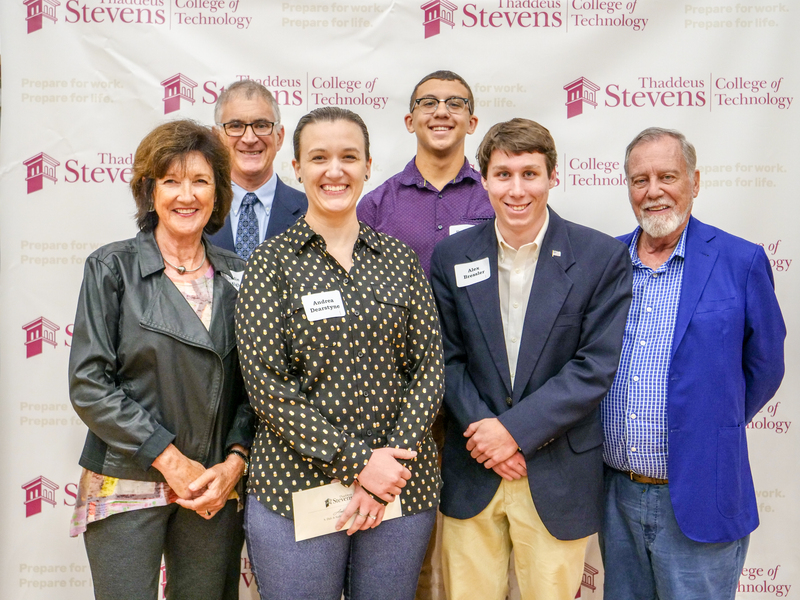 Established in 2016 by Bob and Barb Strickler to honor military veterans who are attending Stevens College. Preference is given first to a needy veteran with a family. Second preference is a needy veteran without a family. The minimum award is $1,100 renewable annually for 5 years. An annual scholarship established by Williams Atlantic Pipeline, Inc. in February 2009. This scholarship is to be awarded to one or more students in Metals Fabrication & Welding Technology or Welding Technology. The scholarship shall be in the amount of $2,000-$5,000 annually, to be divided into the fall and spring semesters. 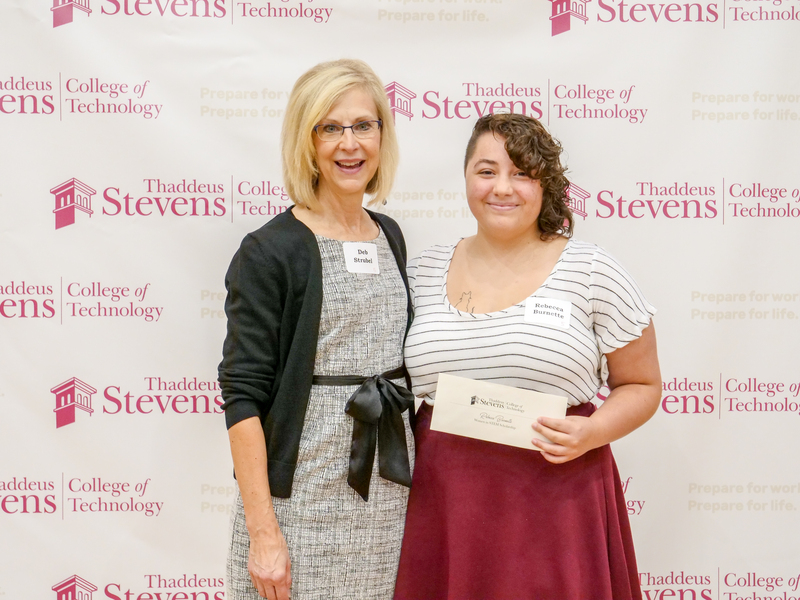 An annual scholarship established in 2016 by Deb Strubel to encourage and support females in enrolling and pursuing STEM careers. This scholarship is to be used to support a needy female student in Electrical Technology, Machine Tool and Computer Aided Manufacturing, or Water and Environmental Technology . If no one in these programs qualify, then an option will be to select a female student in Masonry or any other STEM associate degree program. The scholarship will be at least $1,250 annually. Available during the 2016 and 2017 school year, these organizations or companies have made available limited scholarships for students enrolled in the short term Metal Casting /Foundry and Welding Technology courses. These are limited in number and amount available. Funding is based on reimbursement at the successful completion of the course and earning of the Certification. Note: The availability of any of the listed scholarships, the scholarship criteria and scholarship values are subject to renewal and change without notice.